Short Sleeve Swing Dress is rated 3.0 out of 5 by 1. A classic wardrobe staple. 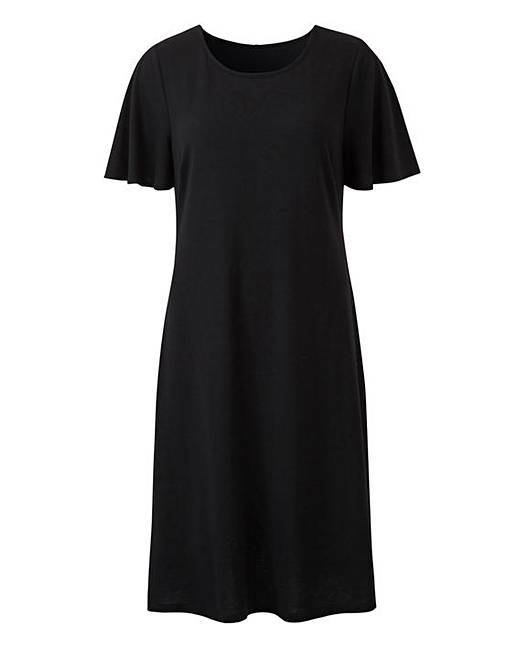 A short-sleeved black swing dress. Dress up or down with a bold colour and wear throughout any season. For the price, quality and style this dress cannot be missed.